This is the scale I use to make 95% of my formulations. Includes AC adapter. 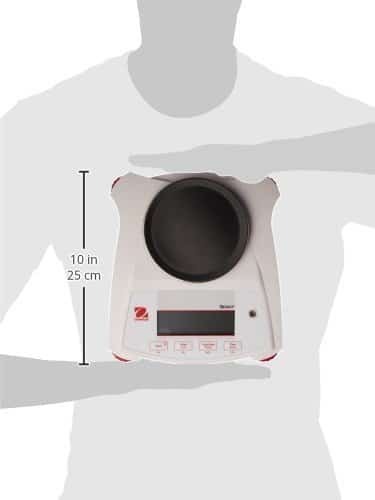 The scale won’t suddendly turn off so you’re not going to lose your measurement, no matter what. It can work with batteries as well (not included). Backlit display increases readability in low light working conditions. 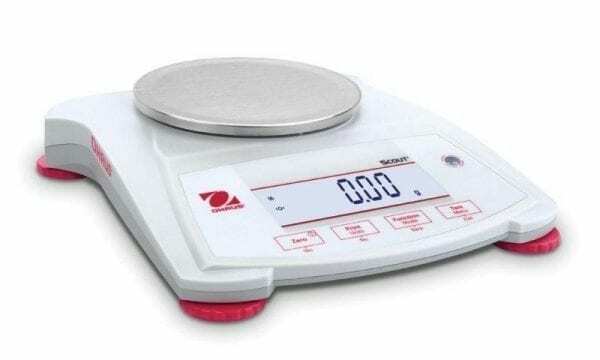 Ensures repeatable and reliable weighing results. g, kg, ct, N, oz, ozt, dwt, lb, lb: oz, grn, hkt, sgt, twt, tical, tola. Have you ever wondered why sometimes lotions and other cosmetics don’t come out right? Is it because the formula is inaccurate? Sometimes, though, it’s simply because we’re not using the right tools. Weight measurements should be reliable and repeatable. A cheap scale simply cannot guarantee these 2 key features. While this might not be a big deal in the kitchen, it definitely is when we switch to making cosmetics. 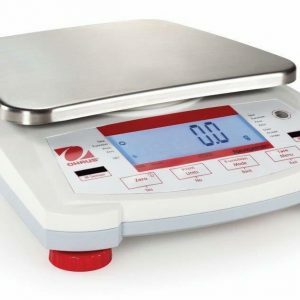 If you’re just setting up your lab or want to upgrade to a professional scale, the Ohaus SPX421 is what you should be looking for.